It's always interesting to learn about the different jobs within an electronics manufacturing job shop. By understanding all the roles that exist to ensure our small batch electronics are properly assembled gives an even better look into the exciting world of electronics manufacturing. 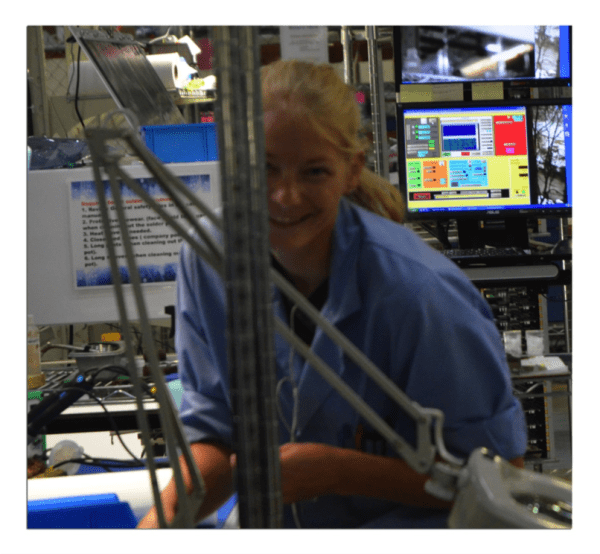 As a part of my in-depth blog series interviewing those working on the technical side of things, I had a chance to chat with Cathie Johnson, an RBB Selective Soldering Technician. Can You Tell Me About Your Electronics Background? I started at RBB a little over three years ago. Before here, I worked in Pennsylvania at another contract manufacturer. At that time I didn’t know I would even like the electronics field, but I believe I have now found my career. The first thing I do is daily maintenance on the machine. This includes greasing the chain and x-y axis rails, the pot and cameras. If I have a job that I’ve never done before I will build a program, and step through it to check for accuracy. This ensures that the machine will move and deposit solder to where I want and need it to go. If the program is already made I just open it, set my zero position and then run it. In addition to running the selective solder machine I also do first piece inspection, and help out help in testing and shipping when needed. Currently, I am also training in SMT, and the Axial Insert Machine! How Long Have You Been Using the Selective Solder? I’ve been on the selective solder machine for a little over two years. Within that time, I have been able to learn and have got the machine down, when a problem arises; I have a good sense of where to look to make a change and continue on, spending a very short amount of productive time. What does the Selective Solder Do Exactly? 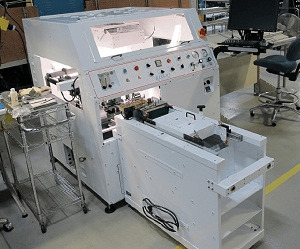 The machine reduces the need for wave pallets, which can be expensive, for bottom side SMT components, and reduces the time needed for masking, which can be costly. I program the machine to go around SMT components, and mounting holes or open barrels. This can help us avoid the masking process all together. It also helps with parts that can’t go through the wave; such as those that cannot be washed or overhang the board's edges. It also reduces the amount of hand soldering that needs to be done. In addition to making it easier and faster for the build, I also use the machine for some rework, which can be challenging and time consuming. What Would Be Your Top 5 Tips for Using a Selective Solder? Make sure that the right solder pot and accessories are being used. Watch the machine as it runs. Board damage and rework can be minimized if they are caught early in the process. Prevent boards that are warped or bowed. This will cause major problems when you’re running them. Watch for lead length! Varying lead lengths can be tricky and cause dragging or other problems. What's Your Favorite Part About Using the Selective Solder? My favorite part about using the Selective Solder machine is that on a daily basis, I am pretty much my own boss. I can control the machine to do what I tell it to, and I get to challenge myself every day. Two machines and jobs covered, plenty more to learn about! Do you have a favorite piece of electronics manufacturing equipment? Share with me and let me know which one below!